Tonight I rode on the metro here for the first time WITH the kids and WITHOUT Jayson. I’ve taken the metro by myself, and with Jayson, and with Jayson and the kids, but not on my own with the kids. It actually went quite smoothly as the girls cooperated beautifully. I am always impressed on public transportation at people’s kindness to the stranger. 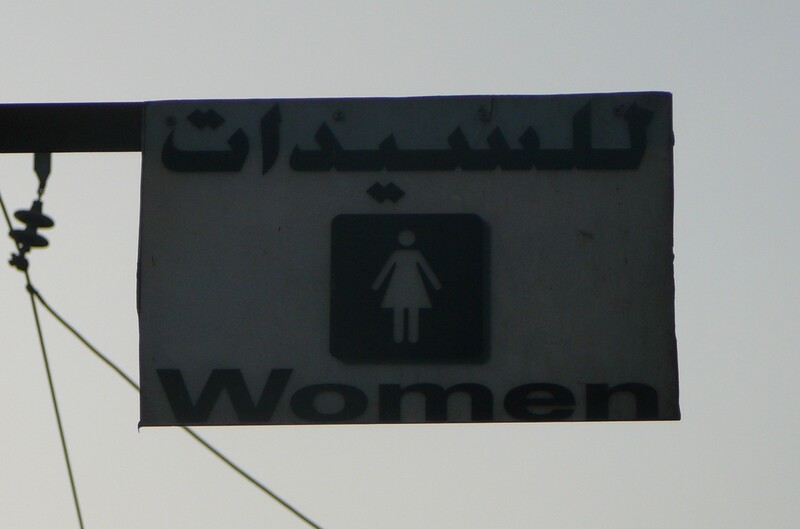 I first noticed it in Tunisia when we would ride the bus. When I entered the bus with a small child (or two), inevitably, someone would rise from their seat and offer it to me. I haven’t ridden public transportation in the US ever, so I don’t know if the same rules apply there, but I always appreciated being able to sit down with the little one(s). I think the same rules apply here in Egypt, but there is an interesting twist here. 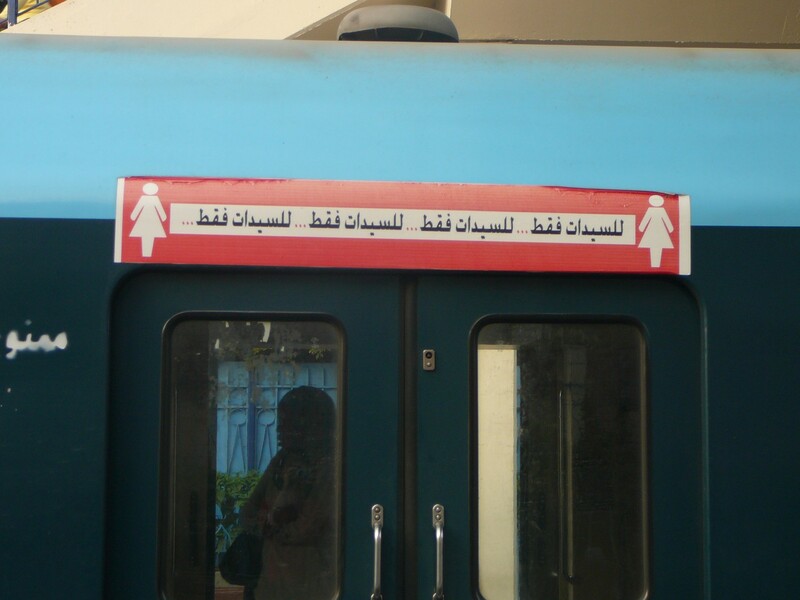 One of the best features of the Egyptian metro system is their inclusion of a “ladies only” car. 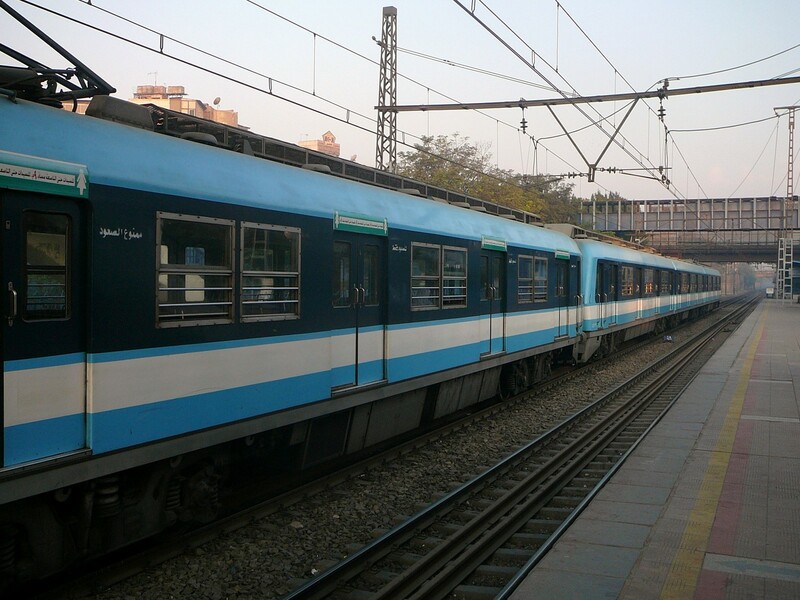 Actually, there are two cars on each metro that are just for women. I believe they differ slightly in that one of the cars allows men after a certain hour, but the other one is only for women all the time. This is nice since the metro is often crowded, and at times crowded conditions can invite unwelcome attention. Knowing one can enter a car reserved for just women gives a certain peace of mind. I’ve ridden the metro by myself only a couple times, and have always chosen the women’s car at those times. I was surprised a couple times to see some men in this car, but they definitely kept their distance from the women. I could see that the women ruled in this car, and sometimes they would tell the men they shouldn’t be there. Other times it seemed the men were with the women, but again, they kept their distance from the women they didn’t know. The whole science of the “ladies only” car would be an interesting one to study if I had time to just ride the metro whenever I wanted. But, alas, I don’t. I can, however, make some observations from what I saw tonight. Jayson had a meeting downtown so we took the first leg of the journey together on the men’s car. When I was on the first leg of the journey someone gave their seat up for me pretty quickly. Later on, after Jayson left, I wondered if that might be one of the negatives of the ladies car. I think that in general, the men might feel a little more obliged to give their seat up for a woman with small children, but for some reason, other women might not. In some ways, you would think that they would feel more sympathy and offer their seat more readily, but I think there is something inside a man that just wants to help a woman in “distress.” Anyway, at least on the first leg, someone offered me a seat. I sat down with Hannah on one leg as it’s hard to put her in the middle of my lap as baby #3 is taking up more space these days. Emma wanted to sit on her own so she sat right next to me. I remember thinking at that point that it was nice to be in this position. I never really had to think about getting up to offer someone a seat, as long as I had two little ones with me. 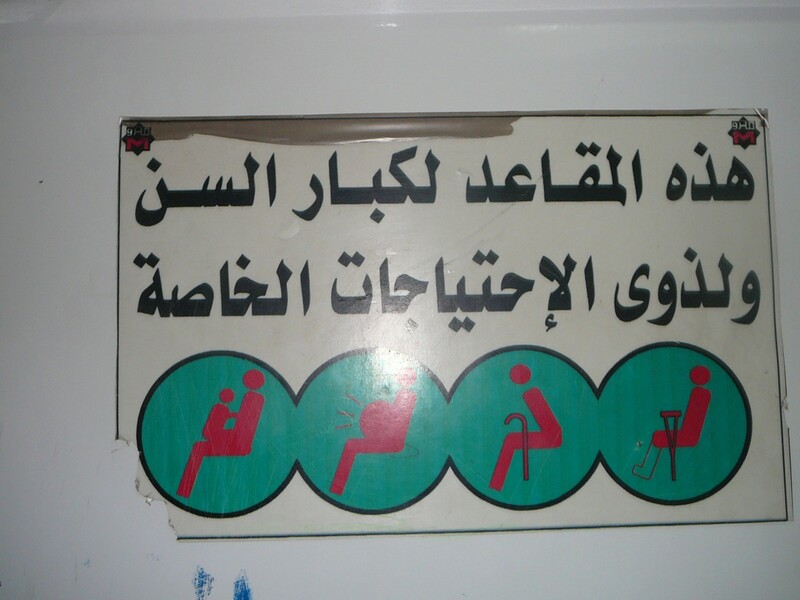 After all, there is a sign there which indicates the seats are there for, to translate literally, people with special needs: the elderly, the pregnant, women with young children, and the handicapped. I didn’t even have to notice others’ needs as long as I was one of the needy ones. As such, we had a nice, comfortable ride all the way to the first stop where we switched metros and Jayson went on his way. The second leg took a little more work, but not too much. These particular women must not have believed in the “woman in distress” theory, because when I boarded with two children in tow, and a third in my belly, no one made a motion to move. Instead, an American twenty-something woman, who was also standing, noticed me, and asked someone if I could take her seat. The sitting woman readily got up for me, but again, she didn’t do it on her own. So we got to sit for that leg of the journey as well. The return trip, also in a women’s car, went pretty well as someone got off their seat almost immediately and let me sit in a seat. The girls were able to enjoy some lollipops that I had promised them during this twenty minute leg of the journey before we had to switch metro lines one last time. We got on our last metro at a main station, so even the women’s car was quite crowded, and I as I looked around at the women seated, trying not to make eye contact exactly, but trying to notice if anyone made any slight motion to me, I realized that no one was making a move to get up. Oh well. I did my best to keep my balance holding two little hands. But nearby was a woman dressed in the niqab (a head covering that also covers the whole face except for two eye holes), and holding a toddler on her lap. Her six year old daughter may have been on her lap as well, I didn’t notice at first, but almost immediately she saw my need and offered half her lap for one of my children. Emma refused, so I put Hannah there instead where she played fairly happily for most of the ride. I kind of marveled at the woman’s kindness as I thought about my ride earlier that evening when I didn’t even look for other people in need since I was the needy one. I was grateful for her kindness and she even got up halfway through the ride when Hannah refused to sit on her lap any longer, and offered her seat to me. Granted, she was getting out earlier than I was, but still, she gave up her space for me. This was a good lesson for me to not just expect other’s kindness, and in some ways, demand it of them as I fit the description of a “needy passenger.” Instead, I should look for ways that I can help others in need. I owe a big ‘thanks’ to the stranger in the niqab for teaching me about seeing others’ needs above my own. I love this story! You are brave to venture out on the Metro with your two (3!) little ones. 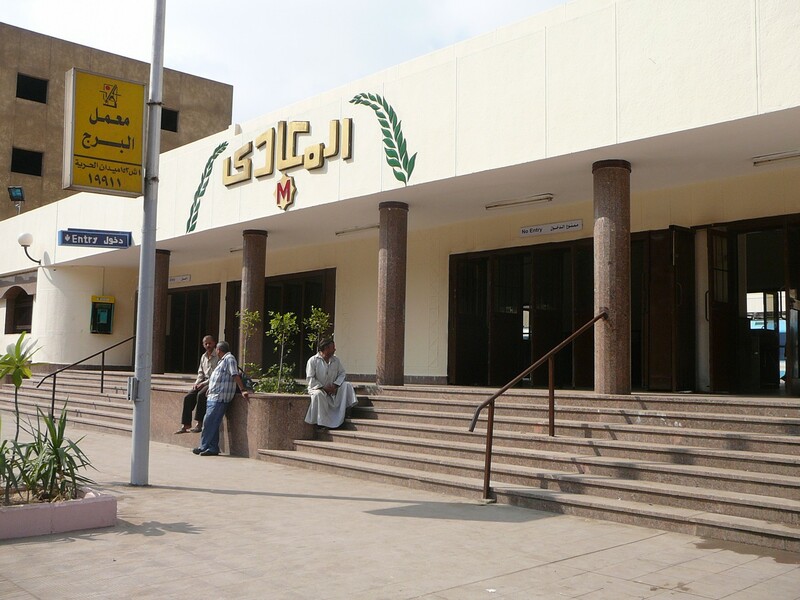 And the lesson you learned is related to many I’ve taken away from Egypt – that even those “in need” have ways to give. And when so many “needy” people here in Egypt never hesitate to offer any assistance they can, it reminds us of how blessed we are and how much WE have to give as well. Even if it is just a simple offer of a lap!